These pages are dedicated to the memory of my special girl, Honey, who flew off to the Rainbow Bridge on August 30, 2003. I will love her and miss her for the rest of my life. It is somewhat ironic that I'd been planning to post doggie pix for a few months and had finally gotten around to taking photos of my three girls, having them developed, and then scanning them in preparation for these pages ... and then, while I was in the process of loading the photos into my site and getting ready to put them online, my special friend, Honey, peacefully left this world as I held her paw and my ex-husband comforted her. She was the smartest dog I've ever had, and we were exceptionally close; whatever room of the house I was in, she was in. She loved to play ball and go for walks, and she actually did both on the day she passed away. We think her heart just gave out. Honey had tumors in several places on her body, and we think she had them internally as well, although I hadn't wanted to prolong her suffering by subjecting her to painful surgery. 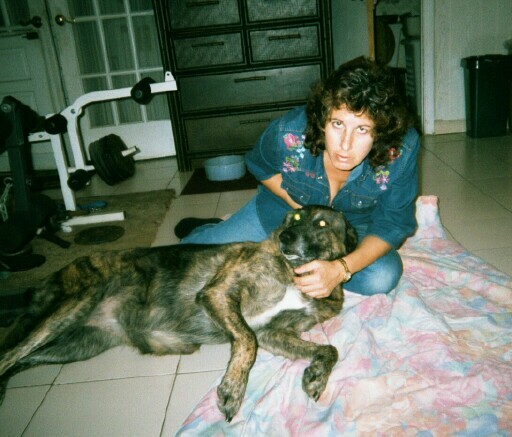 Honey - born 02/06/1993, died 08/30/2003 - German shepherd/golden retriever mix. Missy - born 06/1993, died 05/13/2005 - Chow and who-knows-what-else mix. 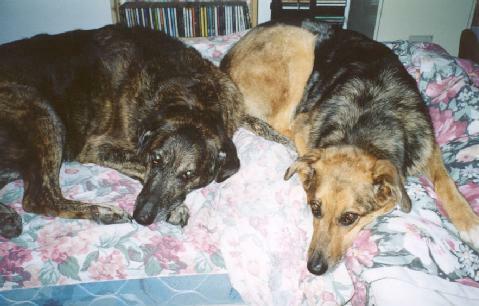 Lady - born around 1998 (we don't know for sure), adopted by my ex-husband in late 2002, German shepherd/Australian shepherd mix. And she doesn't have a tail! As time permits, more pages of doggie pix will be added. I have quite a few of Honey and Missy taken over the years, plus some of my late dalmatian, Pepper. Note: Laura's Inspirational Pages is owned and maintained by Laura Pinto. Laura is a participant in the Amazon Services LLC Associates Program, an affiliate advertising program designed to provide a means for sites to earn advertising fees by advertising and linking to Amazon.com.